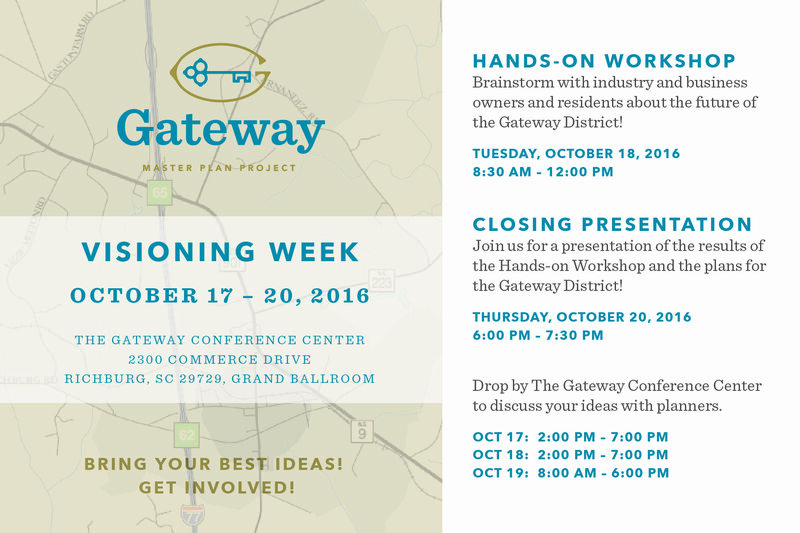 Bring your best ideas to the Gateway Hands-On Workshop happening Tuesday, October 18th at the Gateway Conference Center, Grand Ballroom beginning at 8:30 am. 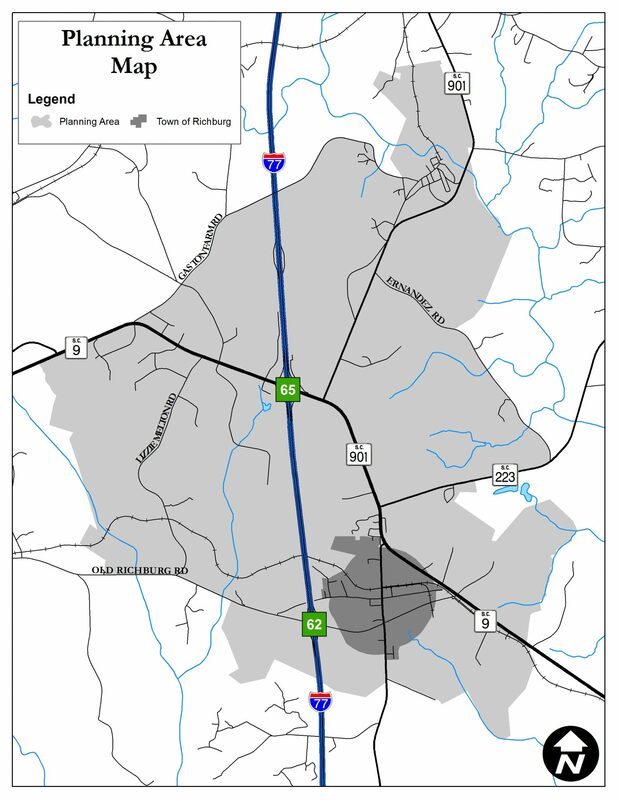 The Gateway Master Plan District includes key areas surrounding Exits 65 and 62 and the Town of Richburg. 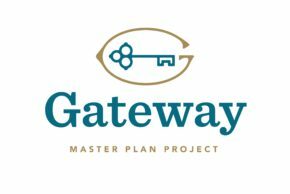 On Thursday, October 20th, the results of the Hands-On Workshop will be shared with the community during a public presentation at the Gateway Conference Center, starting at 6:00 pm.